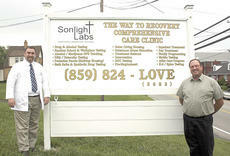 Grant and surrounding counties have a new way to fight addiction with the opening of Second Chance Outreach and The Way To Recovery Comprehensive Care Clinic in Dry Ridge. The regional Christian-centered clinic, located at 30 Broadway St., offers individual, group and family counseling, parole services and drug testing. The facility officially opened its doors on June 4 with a grand opening planned for later this fall. All Grant County Schools’ campuses and property will be tobacco-free beginning July 1 after a new policy was adopted May 10 by the school board. The policy is all-inclusive, including all individuals; all board-owned properties; all board-owned, leased or rented vehicles; all school activities (on or off campus); all hours of the day and all days of the week. The City of Dry Ridge is in danger of its dwindling reserves evaporating as the city council approved the 2012-13 budget on May 14. The past several years the city has had to dip into its reserves without sufficient revenue to cover expenses. The total budgeted appropriations for Grant County for 2012-13 is $10.4 million, down from $11 million this year. Of that, $4.4 million was appropriated in the general fund — about $594,000 less than this year's budget. Nearly all of the rest of the appropriations, nearly $6 million, came from the road and jail funds. On the revenue side, the county has budgeted $9.57 million for all funds. The budget, which the Grant County Fiscal Court approved June 4, takes effect July 1. Crittenden-Mt. 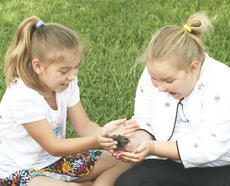 Zion Elementary, among other elementary schools in Grant County in partnership with the Grant County Extension Office received chicken eggs from the Grant County 4-H. The students and teachers used an incubator and watched the eggs hatch. For three fifth grade students at Crittenden-Mt. Zion Elementary, their final chess match was the most exciting moment in a year full of tournaments. The trio attended the national chess tournament at the Opryland Hotel in Nashville. Seth Sutton, Carter Petrey and Austin Creech experienced for the final time as fifth graders a big tournament.